Director Mani Ratnam's most expected next film Kaatru Veliyidai starring Karthi, Aditi Rao Hydari, Shraddha Srinath, RJ Balaji and many others is scheduled for release on the 7th of April. 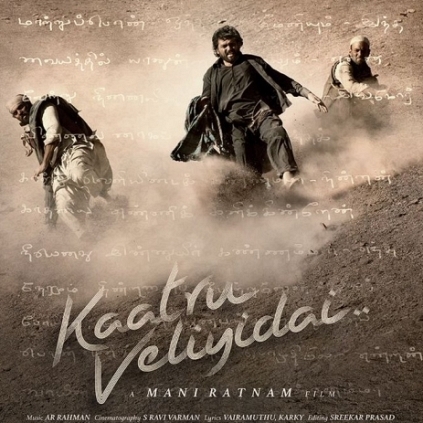 The latest from the team is Kaatru Veliyidai has been censored. The movie has received a 'U' certificate from the CBFC. Sri Thenandal Films, the distributors of the film have confirmed this with a tweet which read, ''#KaatruVeliyidai gets a "U" from the censors, release on April 7! #ManiRatnam @Karthi_Offl @aditiraohydari @arrahman @MadrasTalkies_''. This film which has music by AR Rahman has Karthi playing the role of a pilot and Aditi playing a doctor. The team had recently released 3 songs as singles and a trailer was also released. The rest of the album is expected to release soon.